The MediaMAX Contractor Kits offer options for different levels of connectivity for homes of all types of technology conveniently delivered for the right construction stage. Our customers enjoy the convenience of ordering a part number for each step of the process. The staggered delivery provides peace of mind that components won’t be lost or trampled over during construction. Our all-inclusive kits include all components needed for a home network installation, minimizing guesswork. The MediaMAX Contractor Kits start with the popular MediaMAX plastic panels in three sizes—15″, 30″, 45″—for the rough-in stage. Taking into consideration project scope and technology requirements, choose from 18 kits in three connectivity levels—basic, connected and smart home—to be delivered by the trim/final construction stage. Homeowners looking for reliable network security, privacy and uptime choose value-added wired network connections. Based on a century of experience working with major communication service providers, Suttle has a unique position to provide the right product for home construction. The MediaMAX Contractor Kits have been bundled to make it easier for contractors and builders to order and to receive components at the right time during the construction process. Contractors receive the right parts from rough-in through trim/final stages. These kits eliminate guesswork as to what components to order and the hassle to deal with multiple SKUs. They also provide a well-rounded option for a home network, and a two-part delivery to keep projects on time. Contractors start with the popular MediaMAX plastic panels by choosing panel size (15″, 30″, 45″) at the rough-in stage. Then they choose the kit with the components that meet the project scope and technology requirements. 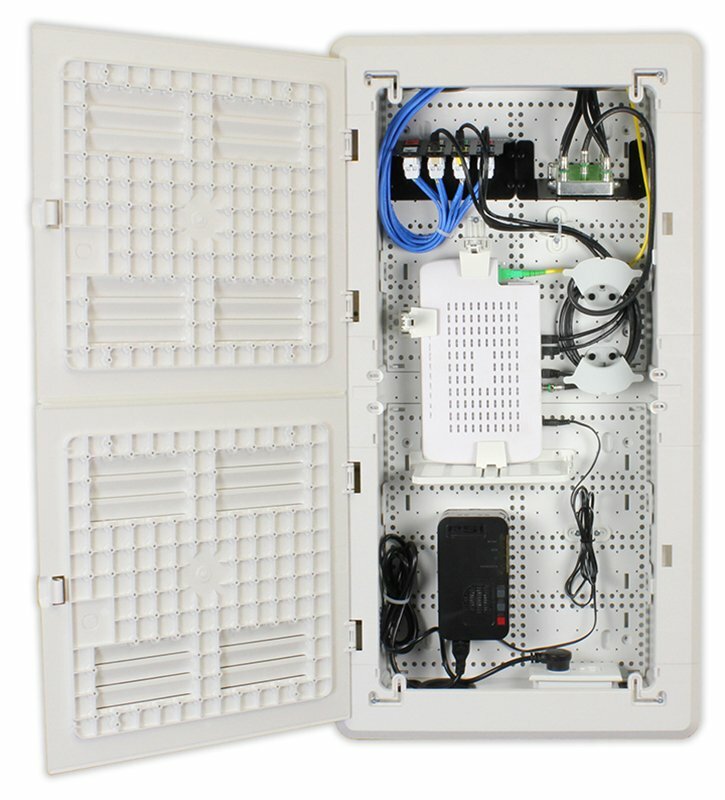 Kits include a hinged cover, distribution modules, CAT6/CAT6A jacks, and faceplates. Consumers say that smart home technology is important as they consider a home purchase or rentals. However, home connectivity requirements can vary considerably depending on the desired level of communication, security and entertainment. Creating the most reliable home network connectivity for today’s IoT, automation and connected lifestyle is Suttle’s specialty. We bring decades of experience working with service providers to offer carrier-grade products. Suttle offers options that meet the needs of different home dwellers and makes it easy for builders and contractors to deliver the desired level of connectivity. Our panels, modules, faceplates, and jacks are known for quality construction and reliable performance. And the new CAT6A jack offers 10 gigabit speeds for gaming and over-the-top content. The MediaMAX contractor kit creates a CAT6+ home network that is secure and reliable. Kits contain a bundled package of components needed to build a typical smart, connected or basic home network.